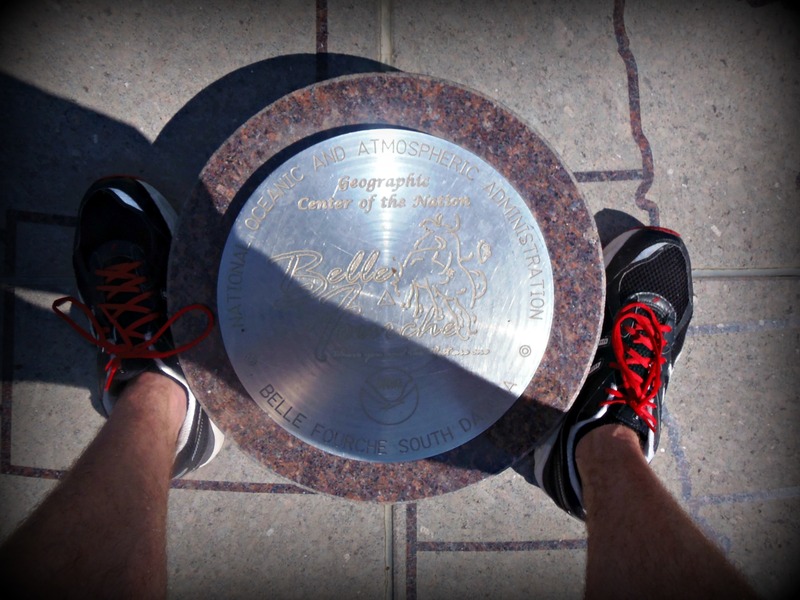 Prior to my trip in Rapid City, I was on a quest to find things in-and-around the area to do. 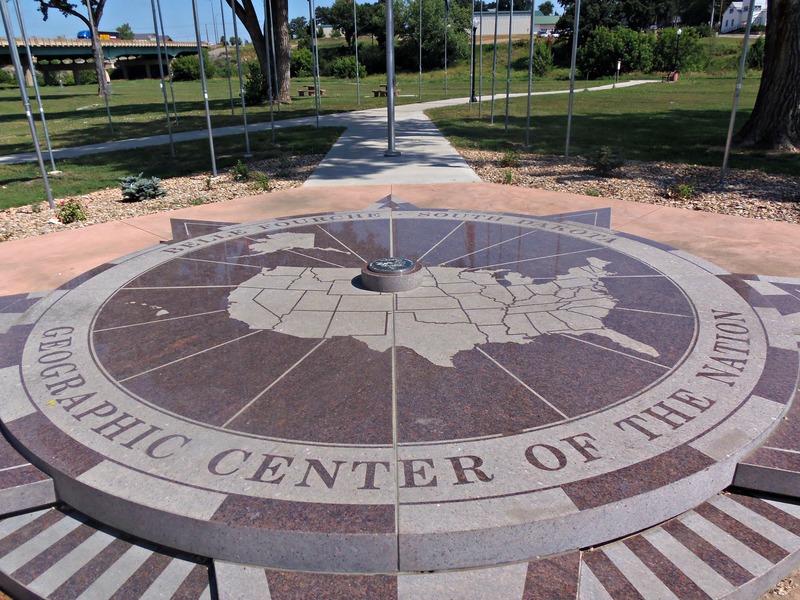 As a lifelong geography-nerd, I knew the geographic center of the Nation was in western South Dakota. 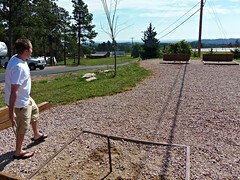 I thought that it may be fun to visit the site and snap a few pictures of whatever tourist-trap roadside attraction had been built there. So, I started my online research. Much to my surprise, the site was barely honored at all. I discovered the most fascinating article regarding the site’s history. It made my desire to visit the site even greater. I had considered re-writing my own version of the significance of the Center of the Nation site, but I would hardly be as masterful as Dan Barry has provided. Therefore, I ask you all to read his New York Times article “In The Middle of Nowhere, a Nation’s Center” (http://www.nytimes.com/2008/06/02/us/02land.html). Once you’ve read this article, my subsequent words may be more interesting. I began to question myself. “Is this really a good idea?” It had been miles since I had seen another vehicle. I was alone. No one knew where I was going, and I was on a gravel road driving away from civilization. 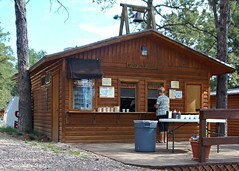 I was in the heart of rattlesnake country, and at least twelve miles from the closest town. 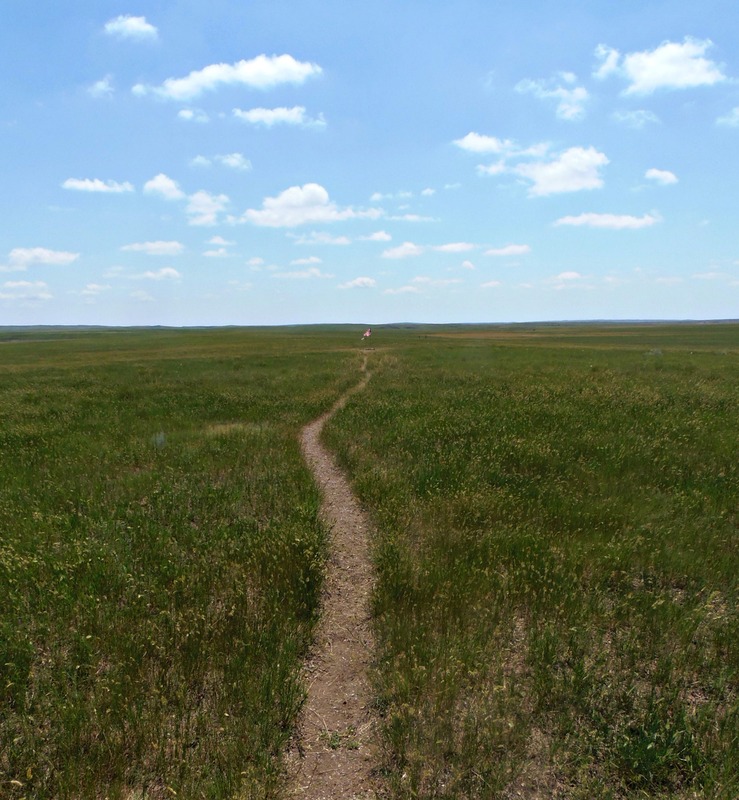 I had turned off of Highway 85, and on to this gravel road that softly crested the open prairie. I was supposed to continue on the gravel road for seven miles, but as I continued farther, it seemed like fifteen. Doubt seeped into my mind, “Is this really worth it?”; “Have I gone too far, and just missed it?”. My cell phone didn’t have reception, and I was unsure what I would do if my car broke down. It was hot, I didn’t have water, and I was a few hours of hiking away from the highway. 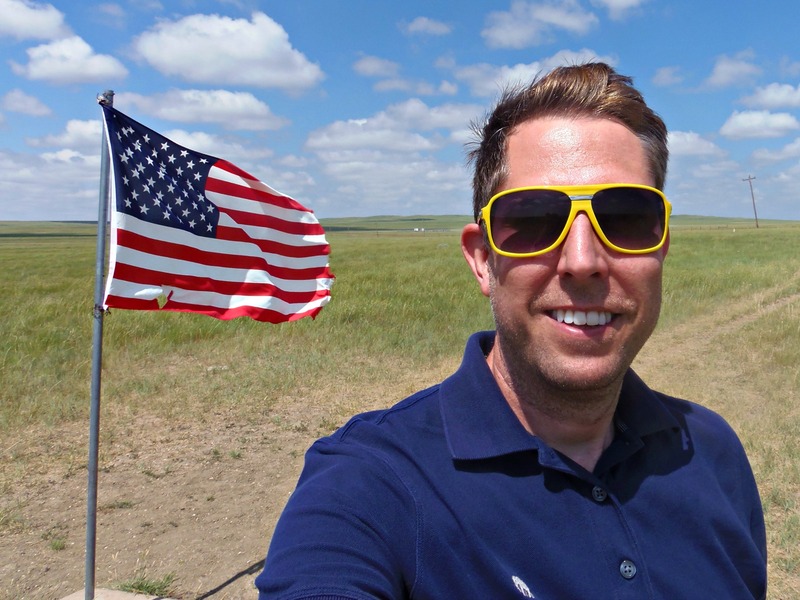 I resisted the inner-panic and decided to carry on, even farther into the oblivion of the South Dakota prairie. I approached another small crest in the rolling prairie hills, when something caught my attention off in the distance. A glimmer of red appeared amongst the fields of gold before me. Suddenly, my faith in the journey had been restored. 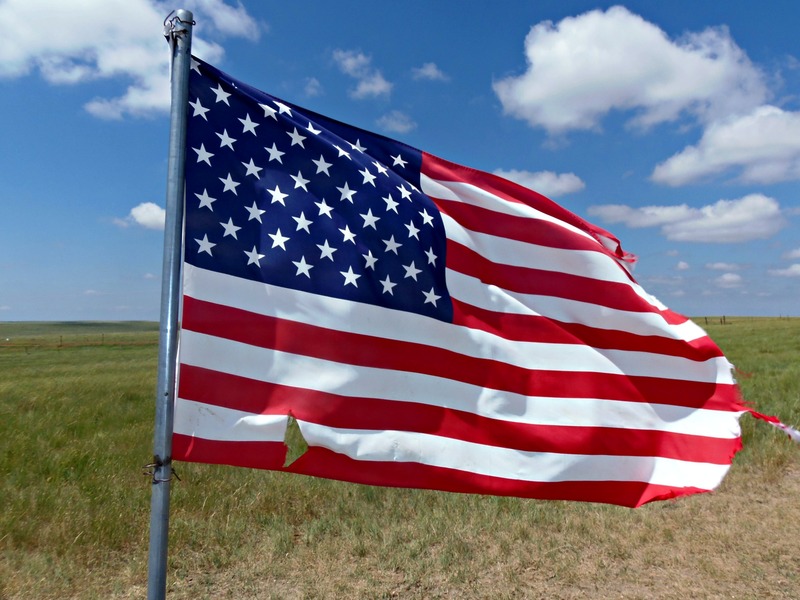 I rolled on closer; and the blue corner with white stars and stripes became visible. 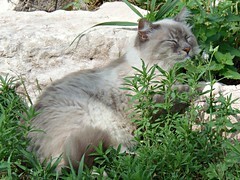 Here I was! 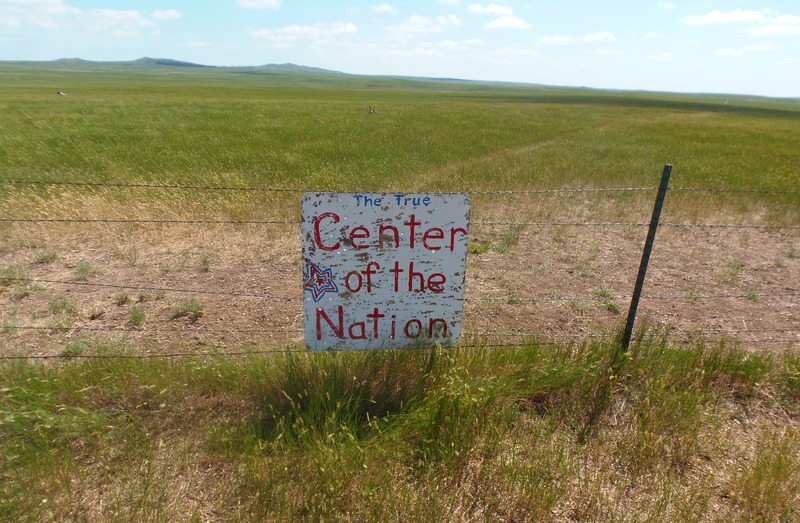 Deep in the heart of America, I made my way to a place that most people never think of visiting… The Center of the Nation! I parked my car in front of the small, hand-painted sign. 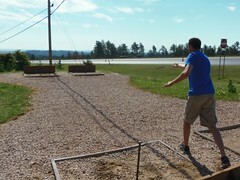 The only thing that stood between me and my goal was a small barbed-wire fence. It took me a few minutes to determine how to contort my body through the fence without ripping my clothes, but the task turned out to be far easier than I had expected. 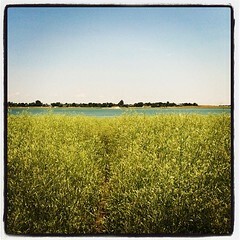 Once I made it to the other side of the fence, I walked a small footpath for about 30 yards through the prairie. 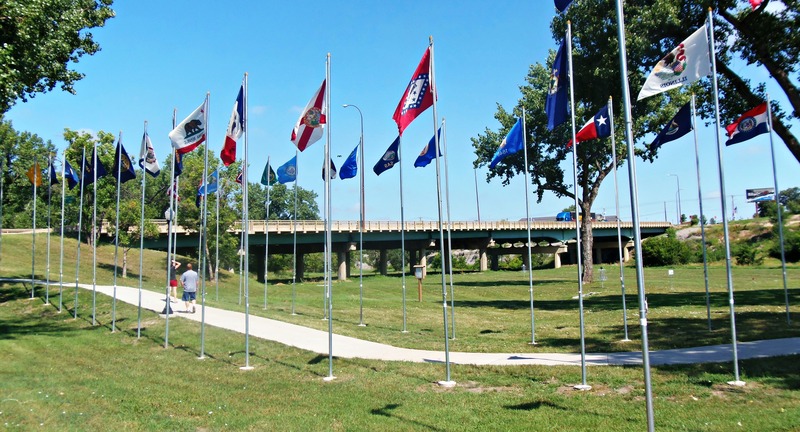 As I approached on foot, I was a bit surprised by the overwhelming sense of patriotism that took over. 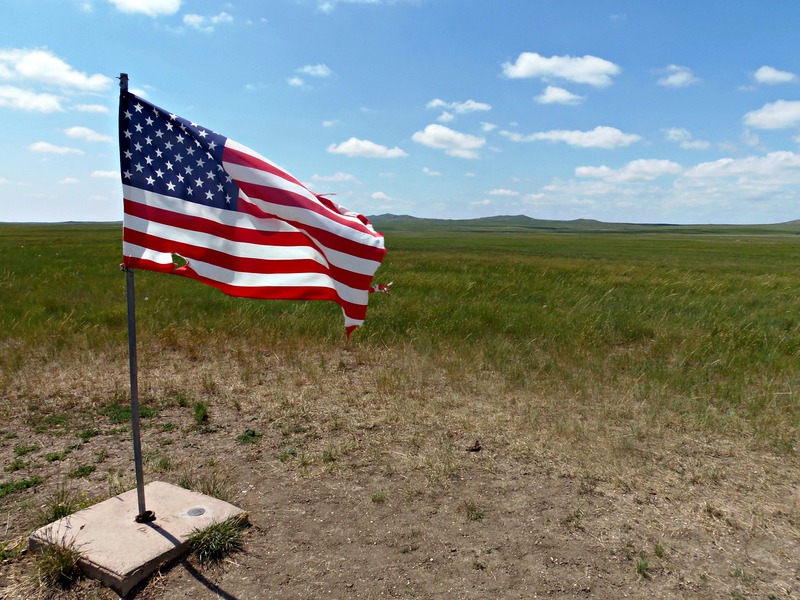 I had seen the American flag countless other times, but never once before had a wind-battered flag produced such profound emotion. 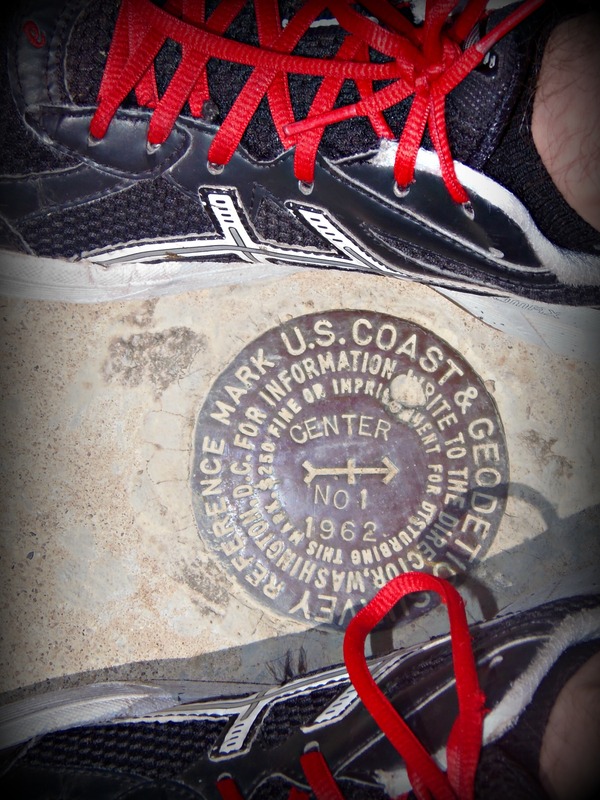 At the base of the flag, was a small marker to denote the geographic significance of where I stood. 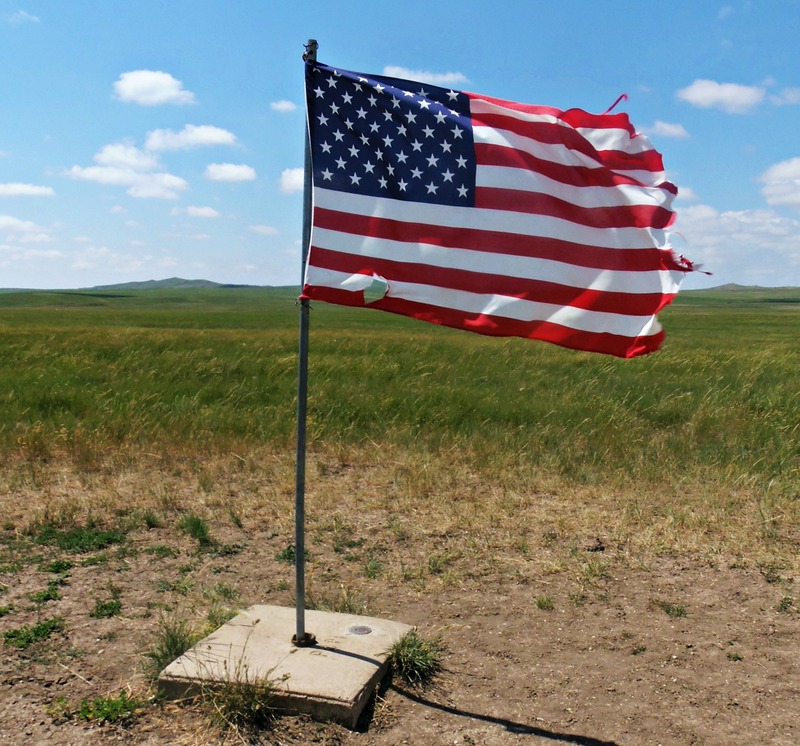 Over the course of the next ten minutes, I took more photographs of an American flag than I ever thought I would. I’ve included many of these shots for you. It’s hard to express in words, but this adventure was truly meaningful to me. I’ve spent my life loving geography… particularly loving American geography. I could name the 50 states before I started kindergarten. I’ve made it my life goal to explore as many acres of our great nation as I can; and here I was smack-dab in the middle of it all. 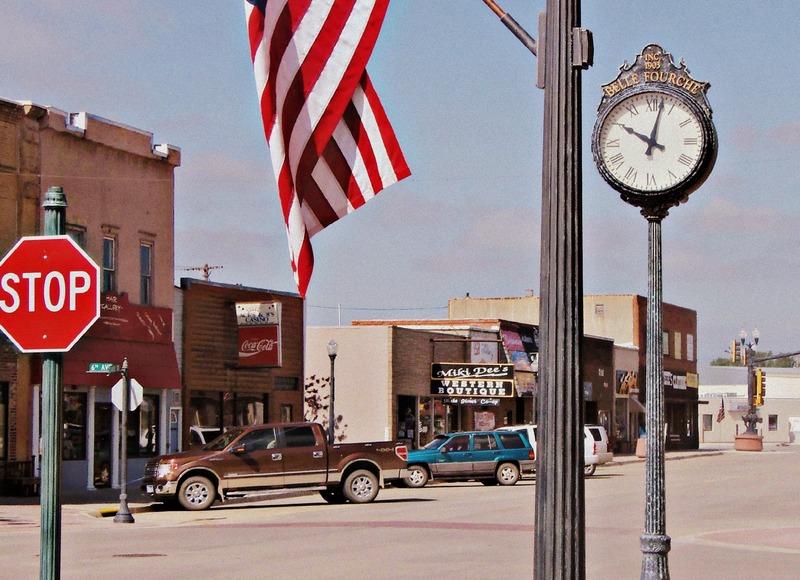 Re-energized, I headed back south to the closest town of Belle Fourche, South Dakota. 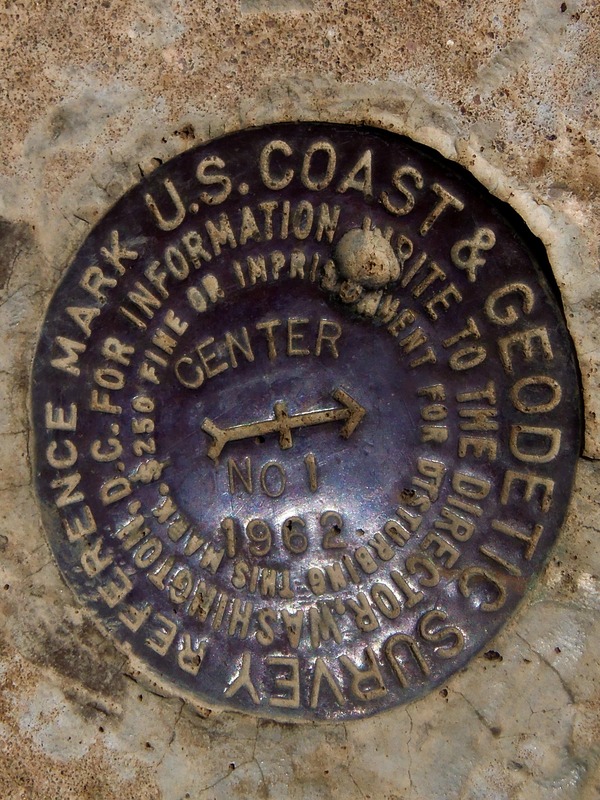 This small community calls itself “The Centermost Town in America”, and for cheaters, there is a much more elaborate Center of the Nation marker at the Town’s local museum. This display is more photo-friendly, and much easier to reach, but I do encourage anyone that decides to go… Make the effort to visit the True Center. It was incredibly rewarding. 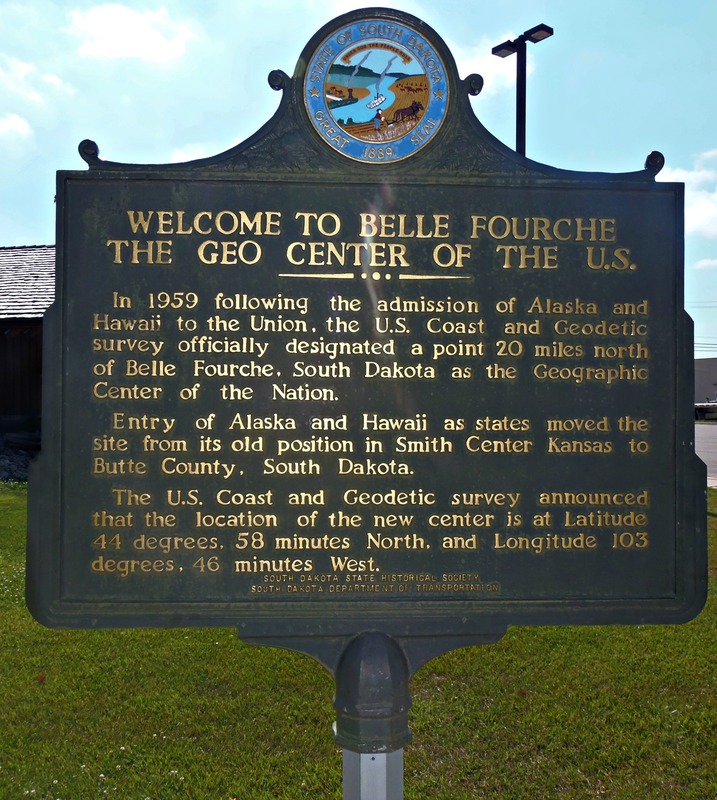 You’ll need about an hour to get from Belle Fourche to the True Center. The gravel road wasn’t designed for high speeds. 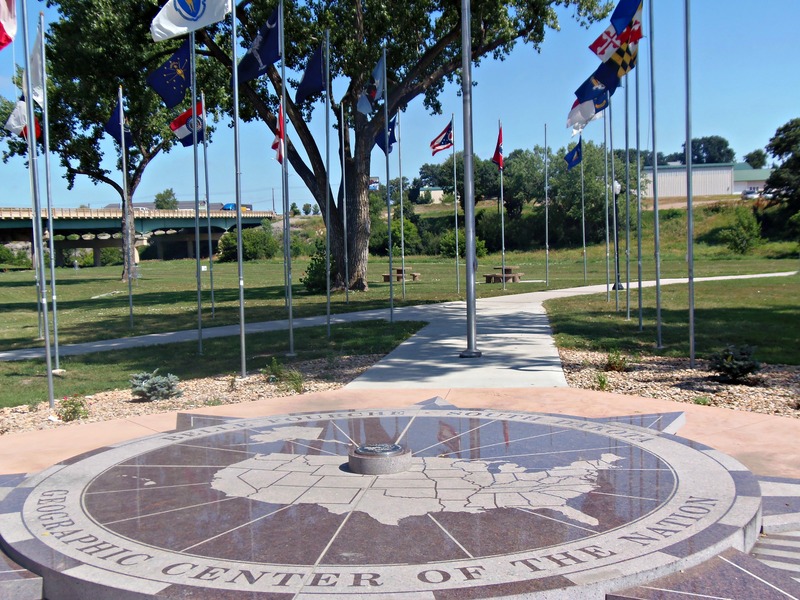 You may also opt to spend 20 minutes in Belle Fourche at the Center of the Nation Museum. 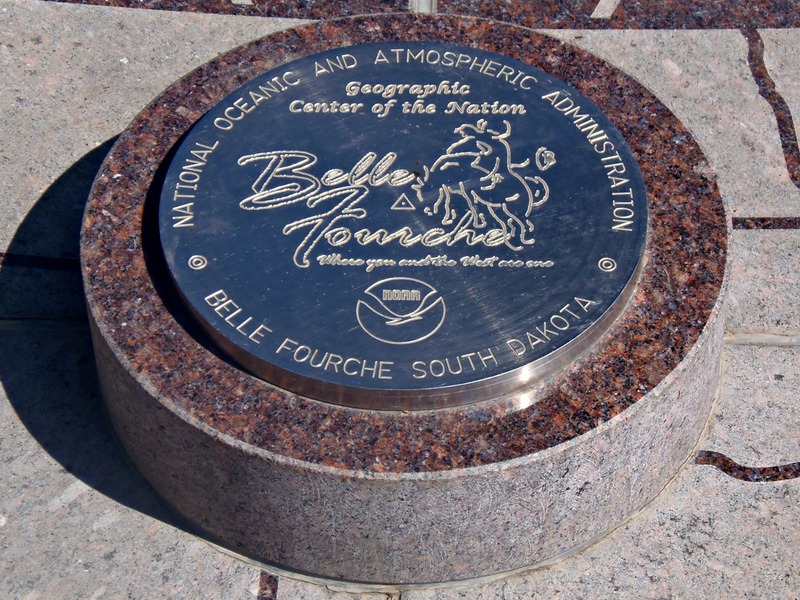 Categories: USA - South Dakota | Tags: Along The Way, Belle Fourche, Center of the Nation, Geographic Center of the United States, Midwest, Roadside, South Dakota | Permalink. I'm a lover of life and all the experiences that come with it. This is truly awesome. The flag looks a little worse for the wear, but I’m surprised it looks as good as it does. Why the barbed wire I wonder?